Non-functional elements of an aluminium extrusion (window frame profile) can serve as a trademark and indication of origin. 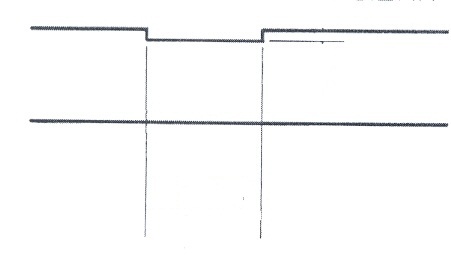 The eventual recipient of the goods in whose building such profiles are installed as window frames does not want the name of the wholesaler to appear. The building contractor and his customer do, however, want assurances that the profiles are manufactured by the supplier. The solution that has developed over the years is to allow the section of the profile to be registered as a design. In Trademark application numbers 240081 and 240082 to Sharmer Aluminium Industries (1993) LTD., the profiles below have been allowed to be registered as trademarks. This is acceptable so long as it is clear that the mark covers non-functional elements only. In other words, strengthening ribs, slots for receiving panes of glass and the like cannot be monopolized indefinitely by filing trademarks, but a non-functional element can. Trademark Registration 240081 shown below, indicates a 0.2 mm protrusion that is 2 mm wide on the back of the extrusion. Trademark registration 240082 indicates a 0.2 mm indentation that is 2 mm wide on the back of the extrusion. This is a three dimensional mark. It is somewhat ironic that we’ve come full circle since trademarks apparently began as maker’s marks stamped onto bits of armor and now are maker’s marks extruded onto window frame extrusions.